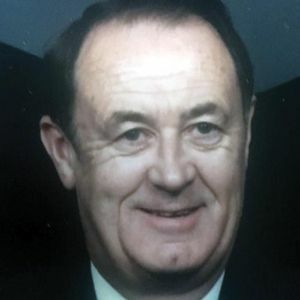 WARREN ADDISON RAND of Centerville, formerly of Westborough, MA died April 12, 2019 at the age of 82. A licensed funeral director for almost forty years, he began his career in south shore at Folsom's, Wickens and Troupe and later the Sparrell's Funeral Homes. He purchased the Harper Funeral Home in 1973, renaming it Rand and Harper Funeral Home. A graduate of the New England Institute of Anatomy, Sanitary Science and Embalming, he was a member of the Greater Worcester Funeral Directors Association. Alden and I send our condolence to you Jan,and your sons and grands! Call me when you get settled my friend!! Condolences to all family members on the passing of Warren. He and I were classmates at Braintree High School. In reading the obituary and the commentary about his love for playing the organ reminded me of out time together in a sophomore class in salesmanship at BHS. Each student was to prepare and make a product sales presentation as classroom assignment. Warren got permission from the teacher to have the class go to his parent's home in Braintree where he made his presentation while sitting at the organ, explaining its features and proceeded to play a song or two for the class in the living room at his home. It was, I am certain, the same organ mentioned in the obituary. Needless to say, but he received an A for the assignment with a very creative selling presentation and real-life product simulation. RIP my fellow BHS alum. Sincere condolences to Warren's wife and family, between Mr. Harper and Mr. Rand, our family is very grateful for his kindness. Life Stories provides friends and families a forum to post their favorite stories and memories of WARREN ADDISON RAND ensuring the precious experiences are never forgotten. Share joyful times, post a photo that captures the moments you cherish, and allow others to reply, relive and remember.